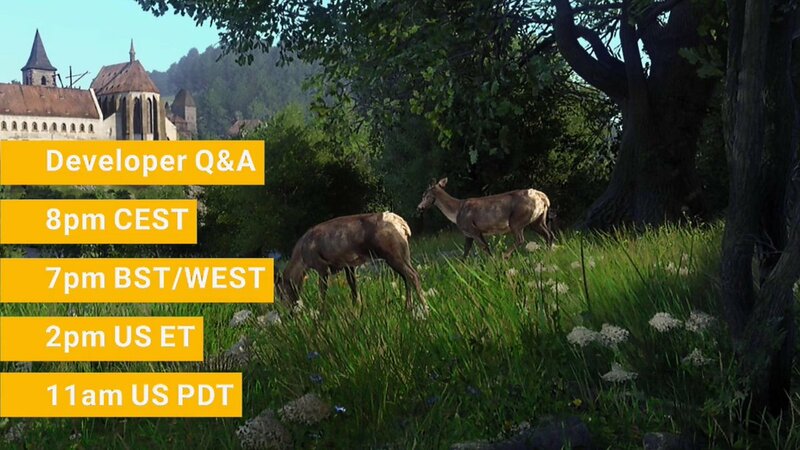 Like the Q&A’s before it a small amount of gameplay will kick things off before a giveaway, fan-art and discussing the game as it is now (and during it’s development) in the weeks before the penultimate DLC is released. There wont be any new ‘Womans Lot’ DLC info, but for anyone who wants an overview there is something for everyone. Will have the same crap questions like before. Idk why anyone should watch that! Talk about the existing problems and not about things which we know and why we bought the game. If i want to have advertising, i can also turn on the Bilderberger device. I’m sorry if you’ve had a real hard time about this game. It’s never useful is it if someone is posting positives when the core functionality is broken, I hear you. I’ve come from more games like that over 20, 30+ years than I care to remember. Problem is for example, that WH seems to stupid to fix specific clothes! And 10 patches are not enough to notice that. I have no real big problem with the game, only with silent devs and her stupid priorities often. And if they want a company like Bethesda, they are totally right at THQ. And thank you for the invitation but in the end it will made me angry. But i wish you many visitors for that stream session! Timing of the Q&A conflicts with my schedule……… Church services. I will like address one issue I have with the game. If a player does not follow a certain sequence the dialogue is set to a certain chain of events. Example… I do not go straight to Rattay, but go to Sasau and talk to Matthew and Fritz, Henry tells them he is in the service of Sir Radzig, There are several instances where the dialogue does not match the events. It is a minor issue, but one that is brought up often. Otherwise great game. Five playthroughs already, and waiting for the next DLC.